You can have salmon and avocado together in anything. It's a go to sandwich if you don’t want something too heavy. Slice the bagels thinly and lay on baking trays. Brush with a little oil then bake in a preheated oven at 180C until crisp and golden. Allow to cool. 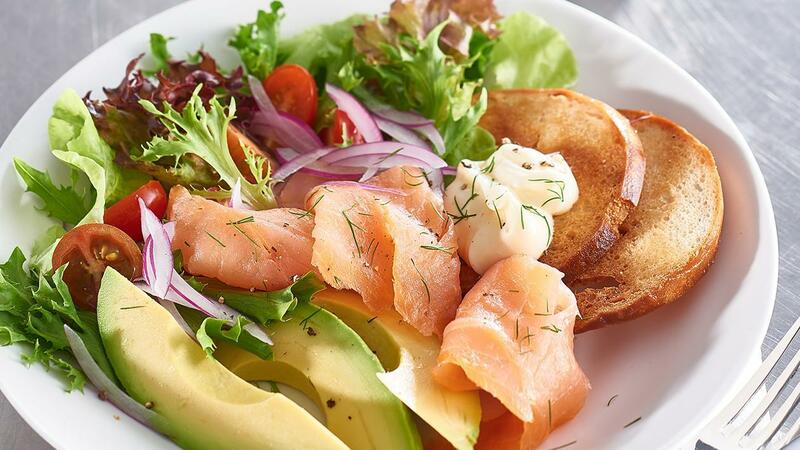 Arrange the salad ingredients and bagel croutons in a bowl, top with smoked salmon and HELLMANN’S Deli Mayonnaise and garnish with the chopped dill. Add a little Knorr lime powder and water to the avocado to stop it from turning brown.